If you were the student who always raised her hand in history or U.S. government class, these outdoor adventure locations are going to appeal to your inner nerd. Consider your next vacation planned. 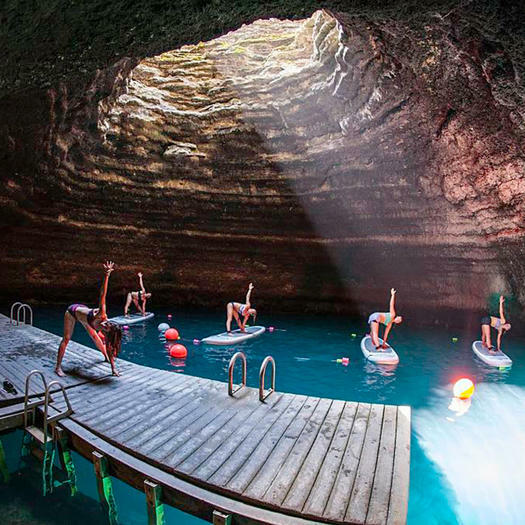 Yogis can get bendy inside a 10,000-year-old geothermal crater that was once used by miners and the first settlers of the area who needed to clean up and soothe sore muscles. Led by Park City Yoga Adventures, you’ll flow through poses on a paddleboard before soaking in the same 90-degree (or warmer!) waters. You can even add on a 1.5-hour hike through the Wasatch-Cache National Forest afterward. But that’s not your only hit of history: Opt to stay at the Washington School House, one of the only still-standing schoolhouses in America. The original building went up in 1889 and was named after George Washington; it’s now a boutique luxury property that features a private ski lounge and a heated pool, along with bookings for mountain biking, golfing, and fly-fishing adventures. Hikers can explore more than 70,000 acres in Theodore Roosevelt National Park which, fittingly, was named after the 26th U.S. president thanks to his dedication to the area. (History fact: Roosevelt escaped there after his wife and mother passed away on the same day.) While you roam, keep an eye out for the numerous types of wildlife that call the park home, including American bison, feral horses, and prairie dogs hiding in the plains. 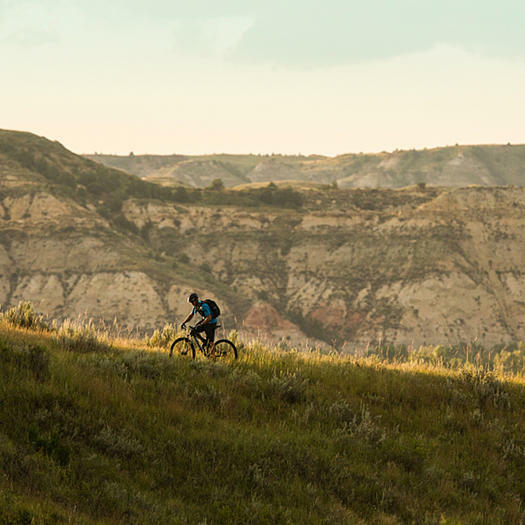 Hiking isn’t your only option, though: Bring your road bike or rent a ride through Dakota Cyclery, then take on the 36-mile Scenic Loop Drive found in the South Unit of the park. You could also nab a mountain bike and ride a section of the famous 150-mile Maah Daah Hey Trail. Whatever you do, grab dinner—and a good night’s sleep—at the Rough Riders Hotel, where you can request the room where some say Teddy Roosevelt may have delivered a speech on its balcony. The Dakotas are full of U.S. history, and a visit to the State Game Lodge will bring you right to where President Coolidge, his family, staff, and journalists stayed in 1927 when looking to escape D.C. politics. The group was only supposed to stay for three weeks, but the trout fishing (along with the horseback riding) was too good to leave. Visit Custer State Park and cast your reel in the same waters of the three-mile-long Grace Coolidge Creek, which, yes, was named after the First Lady. If fishing isn’t your scene, Mount Coolidge is great for hiking, and the lookout tower—nestled at the 6,023-foot peak, is the highest point of the park, offering 360-degree views of the surrounding Black Hills. Save time to hike the Presidential Trail—there you’ll score top-notch views of George Washington, Abraham Lincoln, Theodore Roosevelt, and Thomas Jefferson on the bucket-lister Mount Rushmore. 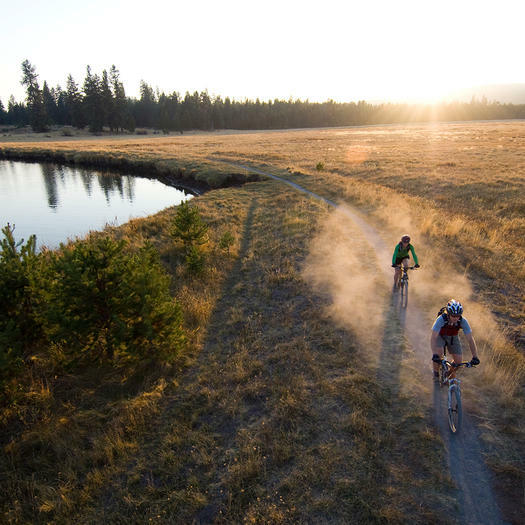 Retrace the footsteps of World War II soldiers with a trip to Sunriver Resort, a destination hotel just outside Bend, OR, that was originally home to Camp Abbot. Serving as a WWII training facility that was designed to introduce soldiers to the harsh realities of war, men experienced simulated battle conditions in the Cascade Range, and it’s here that you can sign up for the 50th Anniversary Bike Tour & Beer Tasting, which takes visitors to the Great Hall—originally the officer’s mess hall and the only remaining structure from Camp Abbot—along with other historic venues throughout the property. Fans of Ernest Hemingway know about his homes in Key West and Cuba, but those weren’t his only must-see destinations: The writer also spent 22 summers with his family in Northern Michigan, marrying his first wife in the area and honeymooning on Walloon Lake. You can wade in the same waters as the prolific author—which are actually mentioned in more than one of his short stories and essays—and rent a paddleboard, kayak, or boat from Tommy’s Walloon. 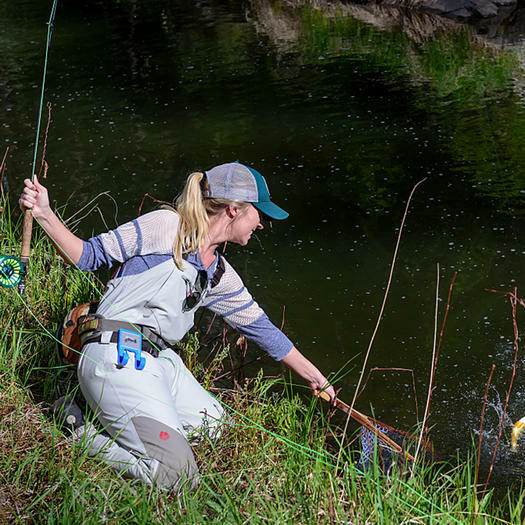 Try your hand at trout fishing in nearby Horton Creek (another activity Hemingway loved), and stay the night at the historic Stafford’s Perry Hotel, where Hemingway slept after hiking to Michigan from Illinois. Sadly, you won’t get away with the 75-cents-per-night rate he scored back in the day. A trip through Elvis’ childhood town means you can see where one of the most legendary musicians in U.S. history fell in love with belting out tunes. Rent a bike through Trails & Treads and hop on the self-guided tour that stops at 12 of The King’s favorite hangouts. 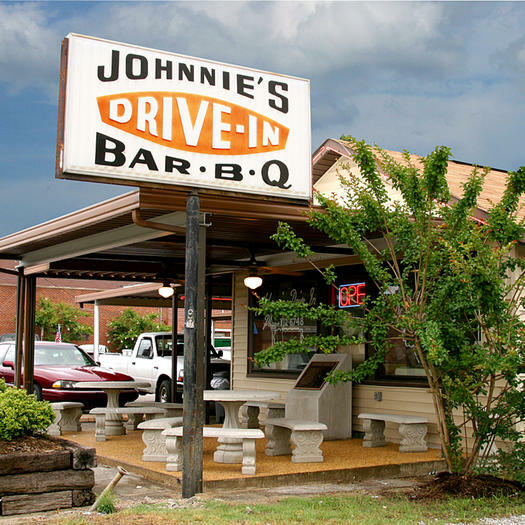 From Tupelo Hardware Co., where he got his first guitar, to Johnnie’s Drive-In, where he often ate and hung out with friends, there’s plenty to explore. This Southern California enclave may be known for its abundance of sea lions, but it played a pivotal role in the flight industry, too. Famous aviators, including Charles Lindbergh in 1930, had their first flights off the cliffs of Torrey Pines (which has great hiking views, BTW). And in the 1970s, the first hang gliders soared over the bluffs, eventually deeming it one of the most influential flying and development sites for foot-launched aviation. 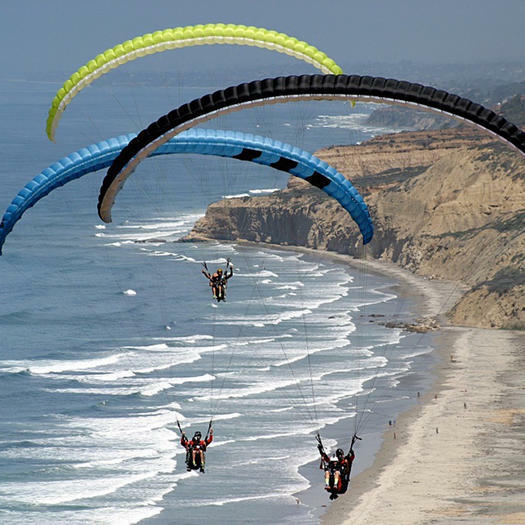 Nowadays, you can try your hand at tandem paragliding or hang gliding via Torrey Pines Gliderport. Be flexible with your schedule, though: The company doesn’t take reservations due to varying weather conditions, and flights are conducted on a first-come, first-serve basis. After you’ve soared through the sky, stay at Estancia La Jolla Hotel & Spa—it’s right down the street from the Gliderport and has been around since the 1920s. 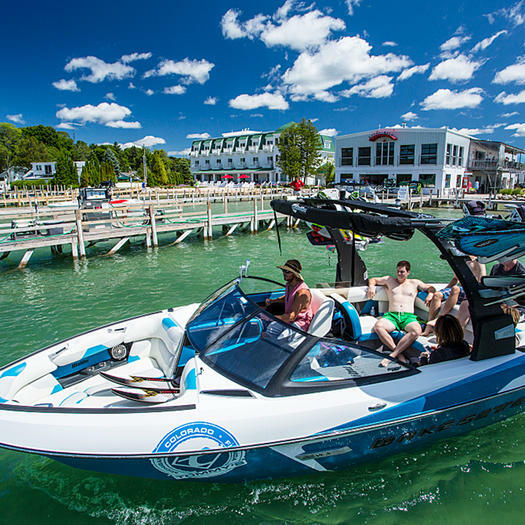 Every outdoor adventure doesn’t have to be balls-to-the-wall hard. 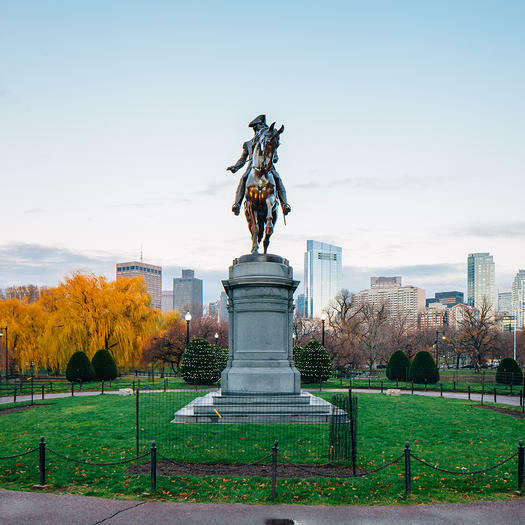 Sometimes a leisurely walk does the job, and that’s what you’ll get while exploring the history-filled city of Boston. Sign up for a tour of the Freedom Trail, and an 18th-century costumed guide will bring you along the 2.5-mile red-lined route that stops at 16 historically significant sites, including the site of the Boston Massacre, Paul Revere’s House, and the USS Constitution. After, head to a game at Fenway Park, a national historic site and one of the few stadiums still standing after being built during the “Golden Age of Ballparks” in the early 1900s. Book a stay nearby at Hotel Commonwealth, the official hotel of the Red Sox. If Ross Geller from Friends is your personality doppelgänger, a trip to this area of Colorado, about 40 miles west of Denver, should be on the bucket list. 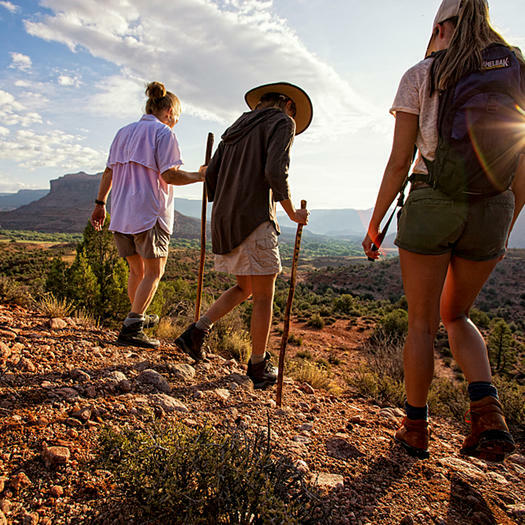 Dolores River Canyon is one of the best places in the U.S. to find dinosaur tracks, and if you book a Dinosaur Track & Geology tour through Gateway Canyon Resort & Spa, you’ll hike through the canyon, examine the best-preserved track sites in the area, and visit old ranching homesteads. The John Brown Dinosaur Track Site tour visits a different area—the La Sal Mountains—where three-toed dinosaurs hung out more than 160 million years ago. Stay at the Omni Homestead Resort in this small Virginia town just 1.5 hours from Roanoke and you won’t have to venture far to feel the historical vibes. Thomas Jefferson rode horseback around the property in 1818, and nine U.S. presidents—including William McKinley, Calvin Coolidge, William Taft, Dwight Eisenhower, and George W. Bush—all spent time on the 18-hole golf course. (It’s currently distinguished as the nation’s oldest first tee in continuous use.) 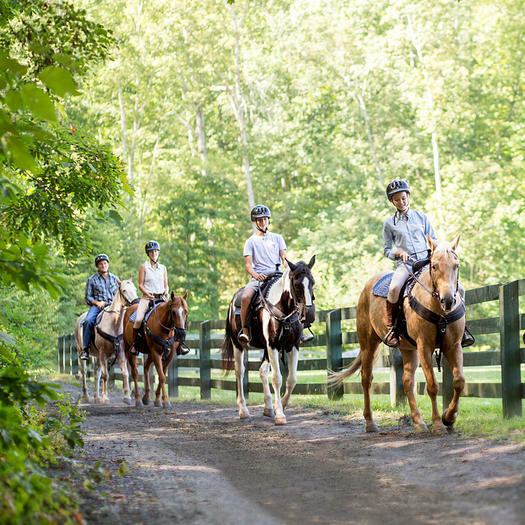 Book an Endless Adventure Package and you can experience unlimited activities, including horseback riding, golf, kayaking, canoeing, and fly fishing (a sport Taft was particularly fond of).